J.W. Smyth family butchers operate two retail butcher & fresh food stores which are situated on strand road Portmarnock and 407 Howth road Raheny. 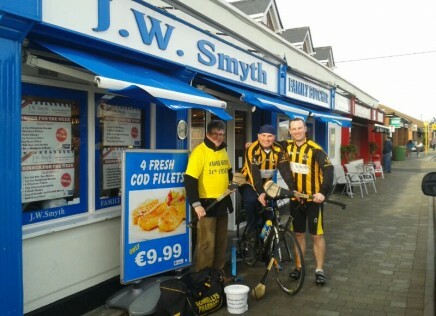 The Portmarnock store is managed by John Fahy & Jeff Hannon as his assistant and Raheny by Brendan Smyth and his father William. We also supply many local restaurants in the area including Sale e Pepe, Duffys Portmarnock Golf Club And Sutton Golf club. Have been proudly serving the community of Portmarnock since 1977 and Raheny since 1950 we offer the finest quality fresh meat fresh fish & fruit and vegetables which come fresh to our store 7 days a week . We mature our finest Irish Beef on the bone for 14 days before boning to ensure that you get a tender steak with all the flavour you can enjoy with your family.